It has been awhile since I have done a “Get the Look” post and they are actually my favorite to write. In the landscape it is easy to be able to apply the look and feel of an inspiration photo, but it is often difficult to ID the correct plants and materials. 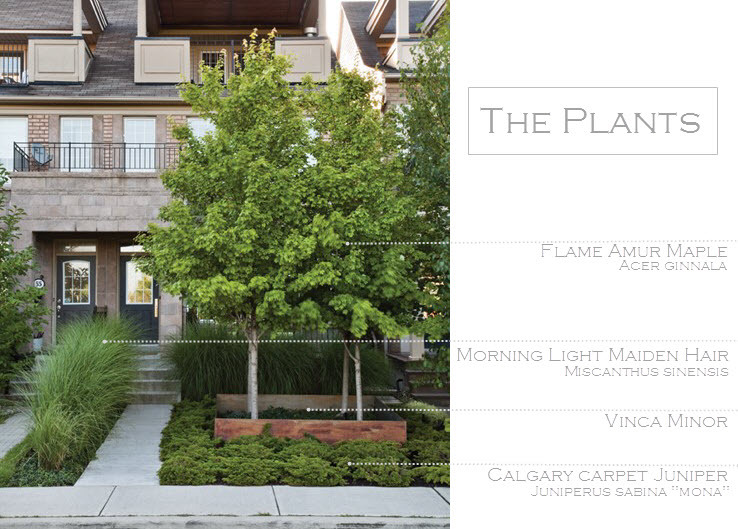 For this post, I found a design in the May issue of Canada House and Home by Kim Price of Kim Price Landscape Design. 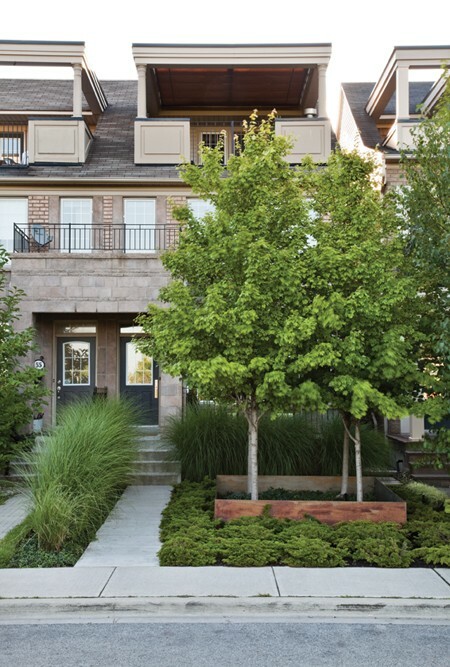 She used only four plant types and two surfaces, but used in mass groupings to create maximum impact. In the design plants are used in mass, and the surfaces are used to delineate between different groupings. Indiana Limestone is used for the walkway to separate the ornamental grasses from the low growing junipers. 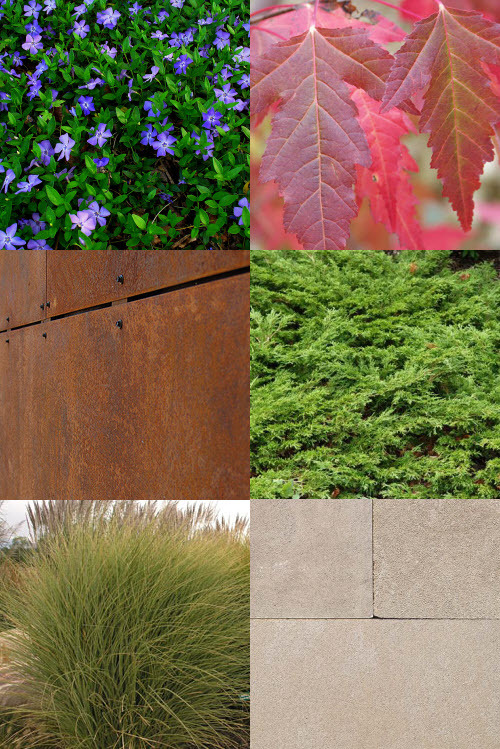 Corten Steel is used to create a raised planter box for the Maples and vinca. In the photo above, the warm tones of the weathered steel stand out from the crisp greens of the plants and cool limestone. However in the fall months, the Flame Amur Maple turns a rusty red which will complement the steel. You can really see how the color palate changes with the season in the image below. This entry was posted in Steal this Look, Uncategorized by Nick. Bookmark the permalink. I love the new look of your blog. I have literally been sitting here for three hours researching the perfect small tree. I had it narrowed down to the amur maple, the globe maple, or “Summer sprite” linden. I love the way the designer used the amurs above – decision made, inspiration found. Thanks for a great post! Brenda, Thank you so much for the feedback…..I will say I am a huge fan of Autumn Flame Amur Maple. Great small form and excellent fall color!